Home design shows, magazines, and Instagram accounts are growing in popularity each day. And if you are one of the millions of people that either watches, reads, or follows them, you know that trends begin to surface across each of them. This is true for door design as well. And we have gathered the top current trends in door design below. 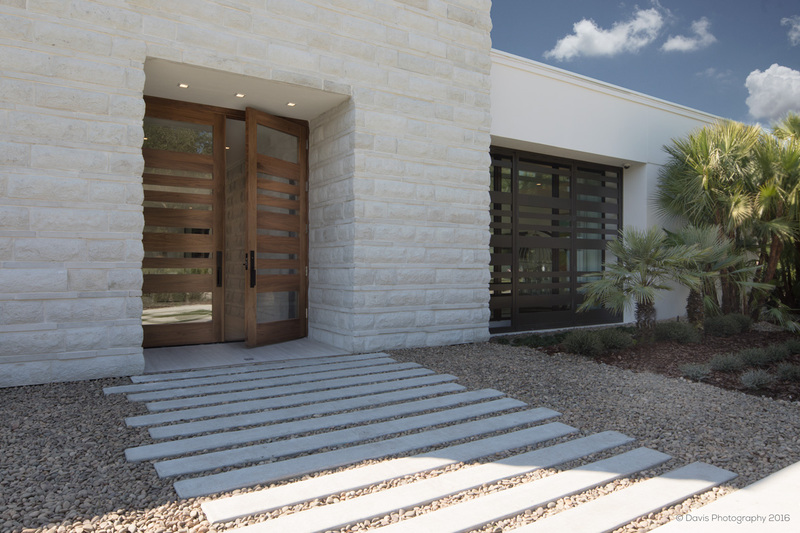 Personalization and customization are becoming the main focus in door design. Whether you want a 10 foot tall door, a door with a unique glass layout, or even one with multiple wood species, you should be able to create the door with the exact look you want. With your front door being the first impression guests will have of your home, large doors in grand entrances are becoming more and more popular. 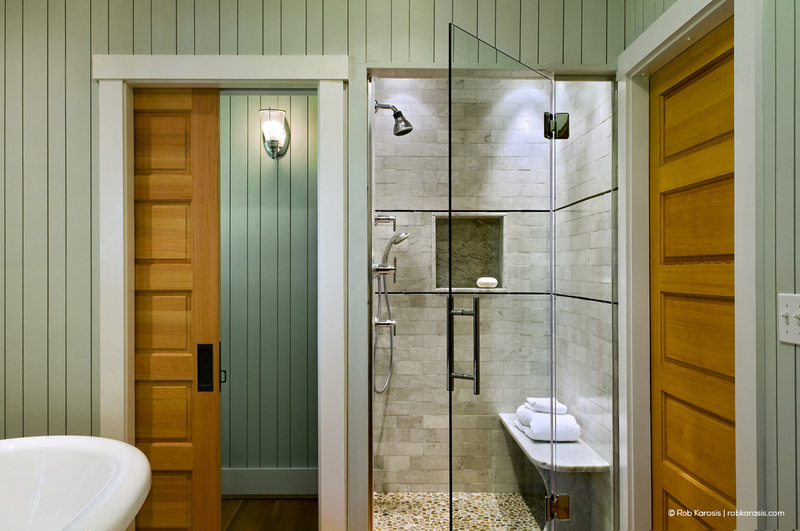 Another trend that is increasing in popularity is doors in multiple applications. While the traditional swing door is still most common among homes across the country, new home designs and remodels are beginning to include various applications throughout the home. 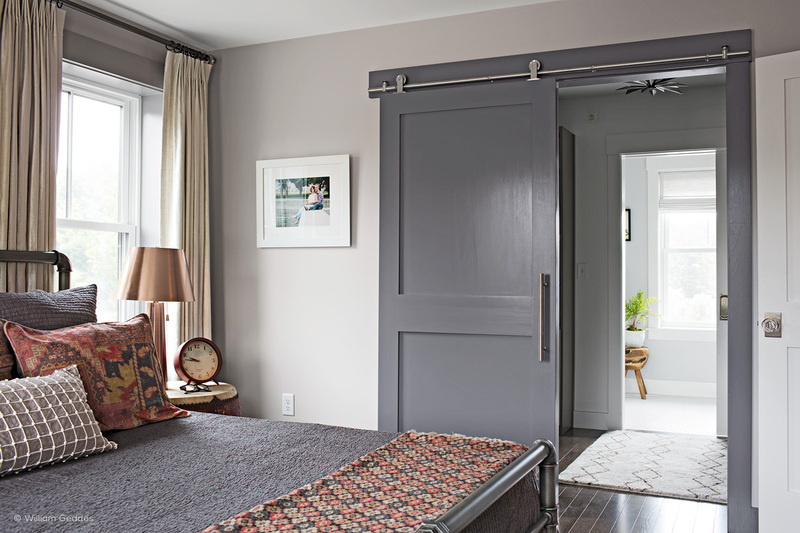 Whether it is a sliding barn door in the bedroom, or a pocket door in the bathroom, choosing different applications for your doors throughout the home can add charm and character to the home. 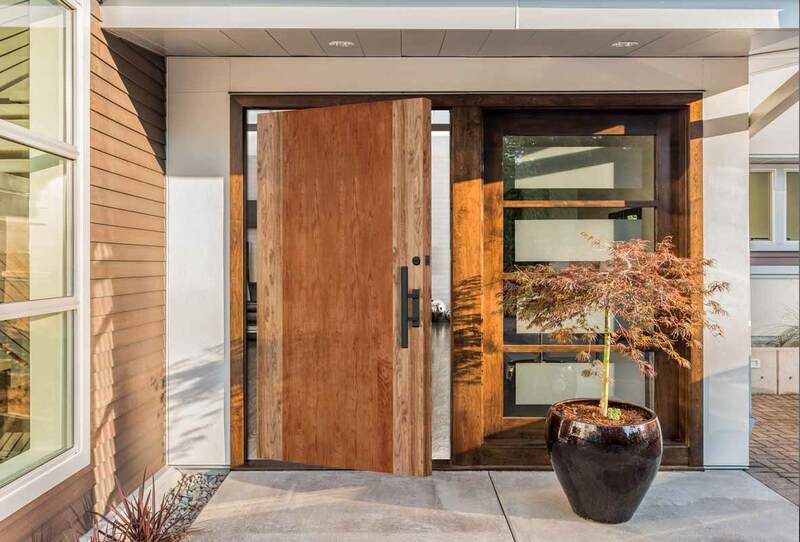 Unique pivot door applications in the front entrance are also drawing attention in modern homes. Contemporary design is living, adapting and ever changing. But a common theme among contemporary design is the clean lines of flush doors. In a more minimalist design world today, flush doors provide uncluttered looks and distinctive styles. And deciding which wood species to go with for your flush door is no longer the only personalization option to them. You can choose different glass layouts, and even doors with multiple wood species to get a door that is uniquely your own.